Yosue Soto rides a ferry from Old Havana to school in Regla as the Sun rises over the harbor in Cuba on March 3rd, 2017. 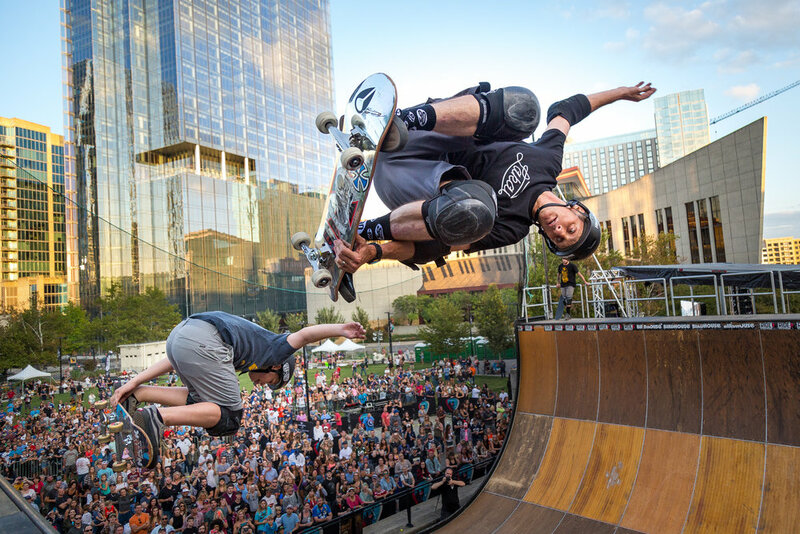 Professional skater Tony Hawk performs tricks in tandom with Evan Dougherty on a halfpipe at Skate Jam in downtown Nashville, TN, on Sept. 10, 2017. Roy Cooper takes the stage to give his victory speech after winning the 2016 gubernatorial election in North Carolina. It was the closest race for governor in the history of the state. His rival, Pat McCrory, lost by about 10 thousand votes. Keiara Wade, right, kisses the forehead of her daughter, Taylor, while being given a tattoo on a kitchen table by artist Matthew Lloyd on July 18th, 2018. The design depicts a dream catcher with rosary beads and a cross dangling below. Wade says tattoos play an important role in her life. “I have tattoos that represent people who love me, and some that I’ve lost,” she says. On her right arm, she has two tattoos that memorialize her grandfather, who helped raise her, and her brother, who was shot and killed in front of her grandmother’s house four years ago. She says that the memory of her brother, Jarrod Taylor, lives on in her daughter, who was named after him. Protesters at Raleigh-Durham International Airport organize to show solidarity with other protests across the country in response to President Trump's executive order barring citizens from certain countries from entering the U.S.
UNC guard Joel Berry (2) jumps for a layup against Clemson Tuesday night. 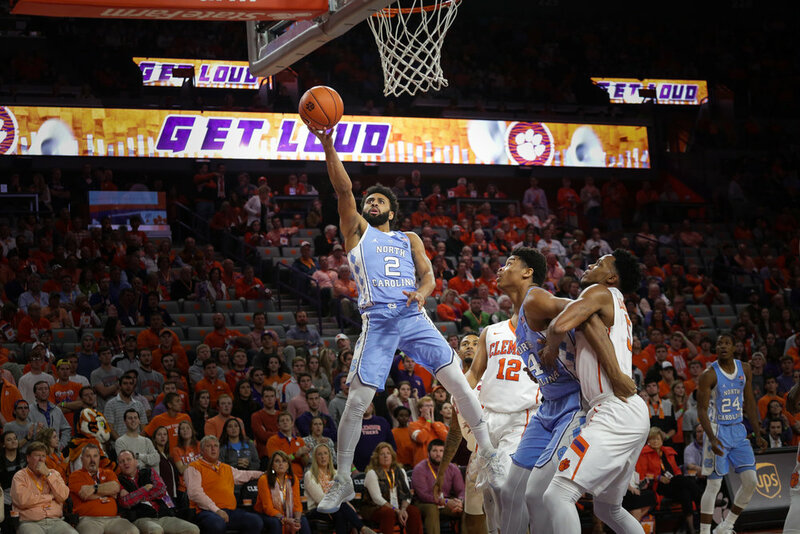 He finished the game with a career high 31 points in UNC's 89-86 win against Clemson in overtime. These concrete foundations are the remains of a public housing project called Fayette Place in the Hayti community of Durham, North Carolina. The site was sold years ago to Campus Apartments of Philadelphia, a company that intended to turn the area into housing for students attending nearby North Carolina Central University. After the homes were demolished, the company did not redevelop the area. The bare foundations have been here for years and show that developing in this this community is a challenge. Lots that could be homes sit empty. Twelfth-grade Hillside High School student Jordan Jarmon rehearses for his role as Scarecrow in the upcoming production of "The Wiz," a musical spin-off of "The Wizard of Oz." Karen Lewis holds a jar of brown water that she says came from her faucet. “It’s getting really bad now,” Lewis says. 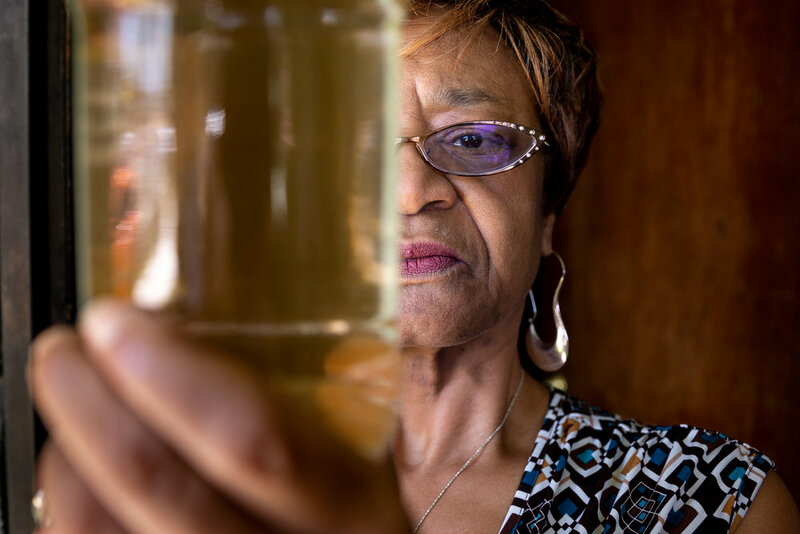 “The water is a lot darker, and it might be stagnant like that for a week.” Lewis and other residents in her Compton neighborhood have been getting brown water from their utility provider, the Sativa Water District, for years. They have organized protests in an attempt to shut down the utility, which has been plagued by corruption and mismanagement. 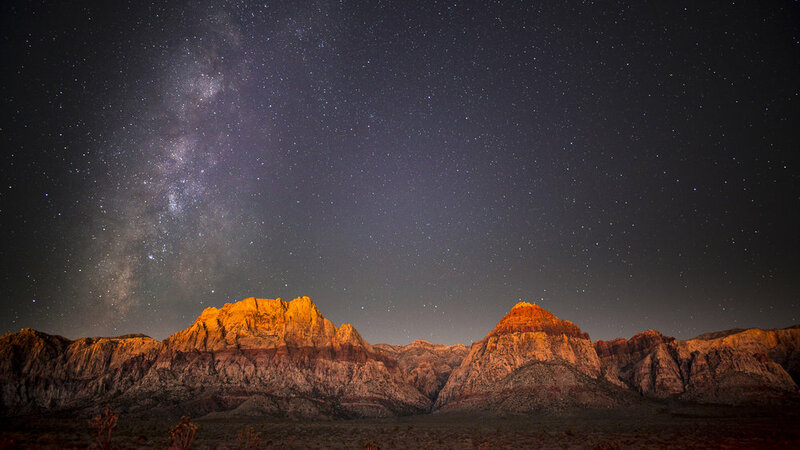 The mountains of Red Rock Canyon pierce a night sky filled with stars. As a train pulls into the Jaipur train station, passengers sitting on top of the train cars jump off onto the tracks. A man sprints down the top of the train. The skyline of Havana at night shows off its rainbow of color created by streetlamps of different colors. A multi-strobe portrait of José Valle. Willy Cortright (left) and Erik Barfield cover the windows of a home with plywood panels in Beaufort, NC, days before Hurricane Florence makes landfall. Both said they will stay on the coast during the storm. Jon Holtzclaw drives his Jeep with friend Dascha Savage along the flooded waterfront in historic downtown Wilmington, N.C., in the wake of Hurricane Florence. Zak Horine, a student at UNC-Chapel Hill, climbs the Otter Cliffs in Acadia National Park, Maine, wearing only underwear and a climbing harness. Warin Chinama prays with her mother shortly before fighting in a Muay Thai match at Asiaique in Bangkok, Thailand. The culture of Muay Thai boxing is rooted in Buddhism, and this prayer routine takes place before every fight. Chinama started boxing because one of her friends invited her to come to the gym, and she now fights semi-professionally. 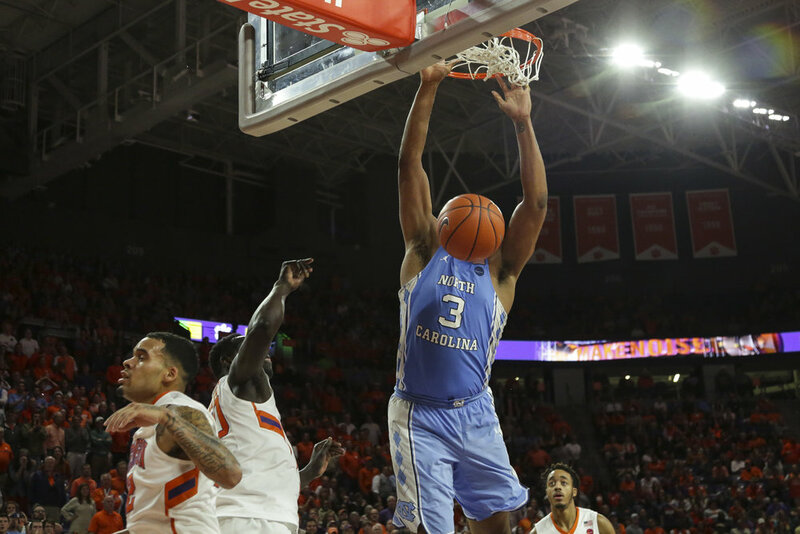 UNC-CH forward Kennedy Meeks (3) goes for a dunk against Clemson in Greenville, SC, on Jan 1st, 2017. UNC narrolwy won the game by three points in overtime. UNC-Chapel Hill soccer players Jenny Chiu and Abby Elinsky celebrate in the locker room at the A.C.C. Championship in Charleston, S.C., on November 6th, 2016. Annapurna I, the eighth-tallest peak in the world, sits beneath a sea of stars. It is tied for the highest mortality rate of any mountain on Earth. Each star in the sky circles the North Star, which remains stationary as the Earth rotates. This picture is made of one exposure with a shutter speed of 30 minutes. Elora Herberick receives a Thai bamboo tattoo from Kittirat Poljindaluck, a tattoo artist, in his Bangkok tattoo studio. These tattoos are uniquely Thai and usually given using a long, bamboo needle. Buddhist monks traditionally give the tattoos in exchange for alms, and it's rumored that there is snake venom in the ink. Each design has a unique meaning. Some, like this compass, help travelers find their way. Others protect the wearer from ghosts, which are an integral part of Thai culture. Poljindaluck has adapted this art form to a modern tattoo studio with standard tattoo ink and a sterilized, metal needle. A baby monkey chews some food. This photograph was published on National Geographic's "Your Shot" website. A man lifts his dragon costume during a parade in Bangkok's Chinatown during Chinese New Year celebrations of 2016. Dragons are a symbol of power in Chinese culture, and performers dance to welcome the year of the monkey. Havana's lighthouse gards the entrance to the harbor beneath a Cuban sunset. The structure was built in 1845.